It is becoming increasingly difficult to reach customers through ecommerce. Consumers are being bombarded by messaging across every conceivable channel. Even the smallest and most distant competitors can challenge your business with fewer barriers to enter the marketplace. To make matters worse, consumer trust in brands and institutions is at an all-time low. In such a difficult landscape, it is more important than ever to reach customers, build trust, and boost brand affinity. Implementing artificial intelligence and deep learning in your marketing endeavors may be the key to your success. Deep learning refers to machines programmed to predict outputs based on data input. When applied to engaging customers, this technology can maximize customer personalization and therefore greatly boost the customer’s experience with your site, product, or store. A more positive customer experience, of course, means higher conversion rates. How Are Artificial Intelligence and Deep Learning Used in Ecommerce? Every time a customer performs an action—a product view, store visit, purchase, rating, review, referral, etc.—deep learning allows us to record and analyze that information. Through this analysis, businesses create segments that allow them to offer a more personalized customer experience on their site. The segments will be categorized based on a deep learning-generated ‘user profile’ built with information such as gender, age, location, shopping preferences and even marital or familial status. Utilizing these segments creates a bespoke customer experience that will await each customer on your site. For example, when one is shopping on Amazon, the ‘recommended purchases’ section of each page is based on deep learning of previous engagements, purchases, etc. 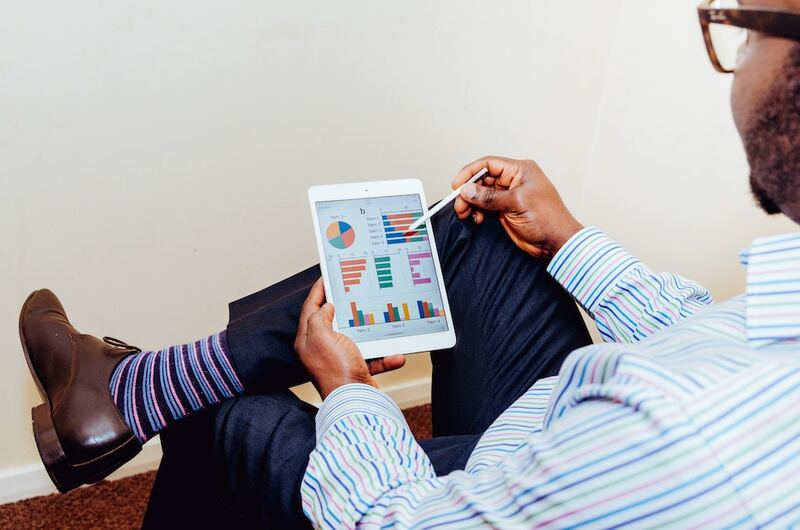 By segmenting customers and creating profiles, you gain the information you need to personalize incentives and therefore, keep customers engaged. 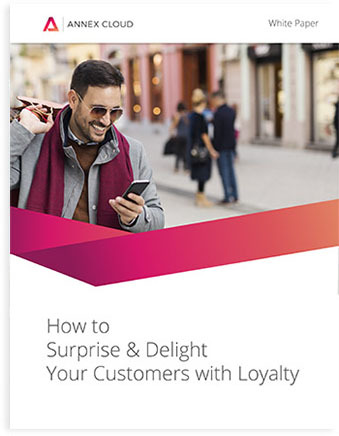 When you can create customer cohorts based on purchasing trends, you can offer them personalized incentives that will speak to them in particular, rather than casting a large net that may alienate some potential customers. Another way to utilize AI in your incentive program is through receipt data aggregation. With this solution, customers receive incentives by logging their purchase records within your system. Through analyzing large numbers of receipts, we gain deep insight into purchasing behavior. We then use this data to personalize incentives, predict future purchasing behaviors, and create a better shopping experience on your site. According to a survey by Brightedge, 29% of marketers believe we are trending towards consumer personalization and 26% believe we’re trending towards artificial intelligence. In a few years, using artificial intelligence to create a more personalized experience will be the new norm for retailers. One of the first to utilize this technology was Amazon, which now controls a 50% market share for all e-commerce. The evidence is apparent: AI and deep learning are keys to marketing success. 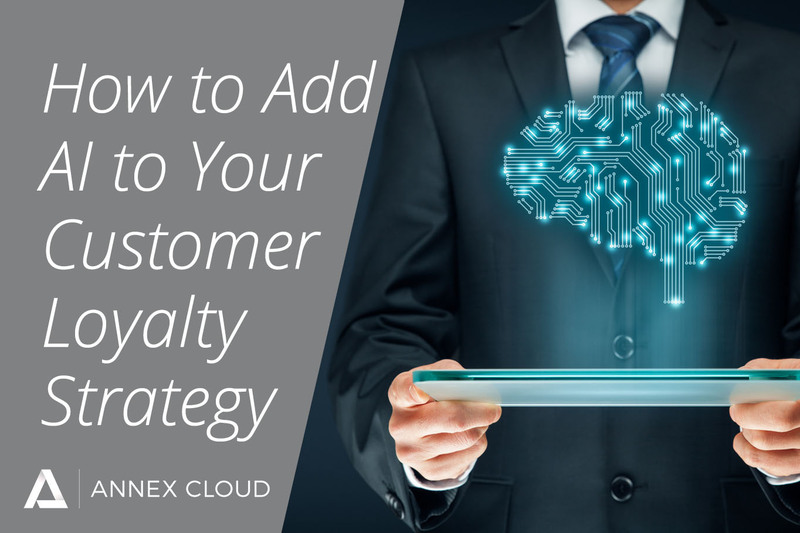 By working with a company like Annex Cloud, you’re leveraging a unified platform that integrates artificial intelligence into your customer loyalty program. First, we’ll work with your brand to identify strategies that will most effectively utilize these technologies. Then, Annex Cloud will use email service partners like Listrak, Bronto and Emarsys to communicate with your customers. Through these personalized communications, we’ll collect and analyze data across all major touchpoints and segment the data accordingly. 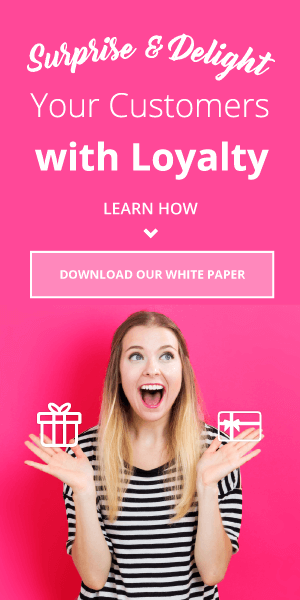 We’ll then use these segments to build audience cohorts and use AI to personalize the customer experience on your site, and offer personalized incentives within your customer loyalty program. 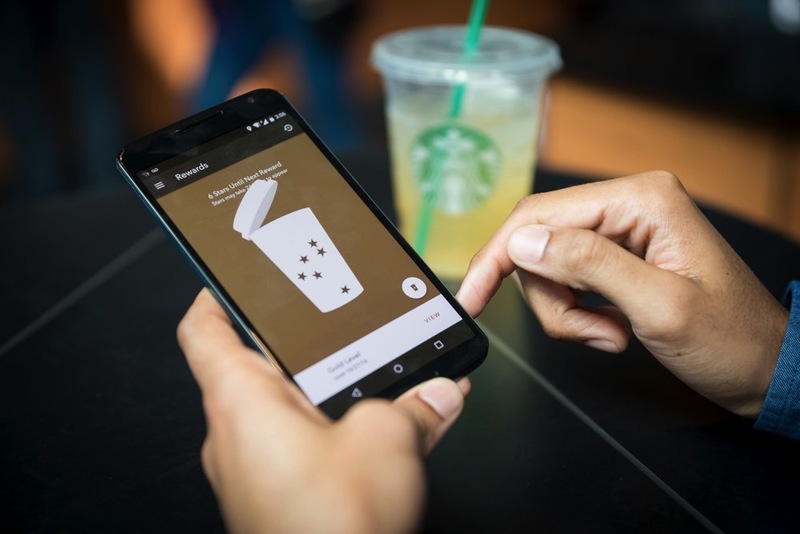 Additionally, our robust receipt data aggregator will use AI and deep learning to supplement your loyalty program. 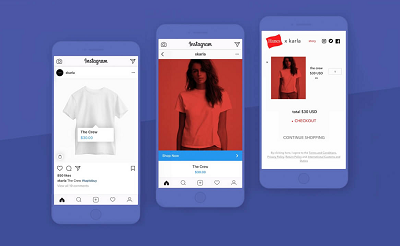 With an increasing number of partner sites, we can find ways to build profiles, reward shoppers, and incentivize customers no matter where they shop. Our immersive system will use these insights to build the customer profiles needed to create a more personalized shopping experience. 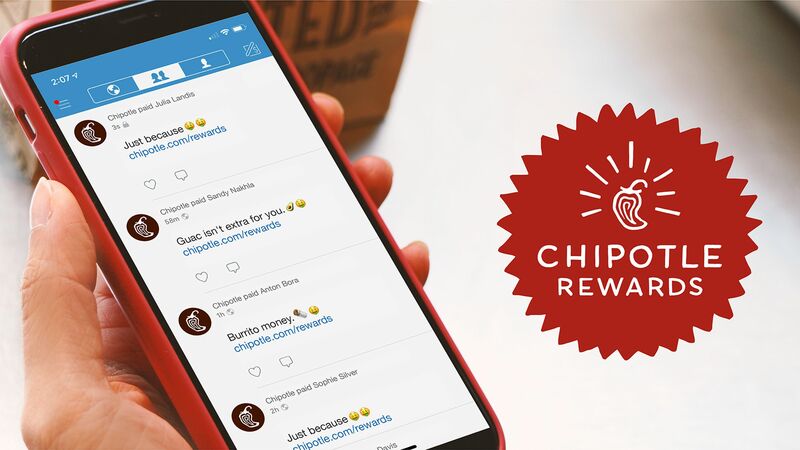 If you’re searching for ways to reach cpnsumers more effectively, consider customer loyalty software that leverages artificial intelligence in its strategy. Is it valuable for you to create a personalized customer experience? More and more ecommerce companies are leveraging emerging technologies to gain a competitive edge in the industries they serve. The question is then, can you afford not to use these technologies? Annex Cloud can help you strategize and implement programs based on AI and deep learning. If you have any questions about artificial intelligence and deep learning, contact us today!